Modernizing The Way You Store Your Documents. Storing records via microfilm was once a popular way of backing up and delivering information while eliminating the need of physical paper trails. This document management process involves printing physical files onto rolls of film for storage and faster data retrieval. Given the shift in digital technology over the years, the demand to backup files on microfilm has increased to help lower microfilm equipment repair and replacement costs, as well as maximize the use of these files via other file formats. Converting certain collections of microfilm to data files that can be formatted via Word, Excel and other file formats. While storing information via microfilm was once a widely utilized practice, you can eliminate this now-outdated method by switching to digital storage. Located in Fort Lauderdale, Document Scanning Services LLC helps local and nationwide businesses scan a wide variety of microfilm files and while helping keep your company’s data secure and organized using cutting edge equipment and modernized storage methods. 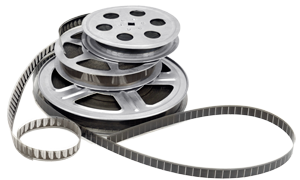 Call us today at 954-271-0118 learn how we can convert your microfilm files, or fill out our online form for a free scanning quote.